Somewhere in a parallel time line just about now, drinks are being served, shared and plans are being hatched to forge alliances and set forth crafting a super psych opus of mind gibbering wooziness. The names of our fated souls are the Clientele and Clock Strikes 13. Only there’s a slight snag for somewhere on this particular version of Earth some blighters have pulled the magic carpet from beneath where they stand and beaten them to it. 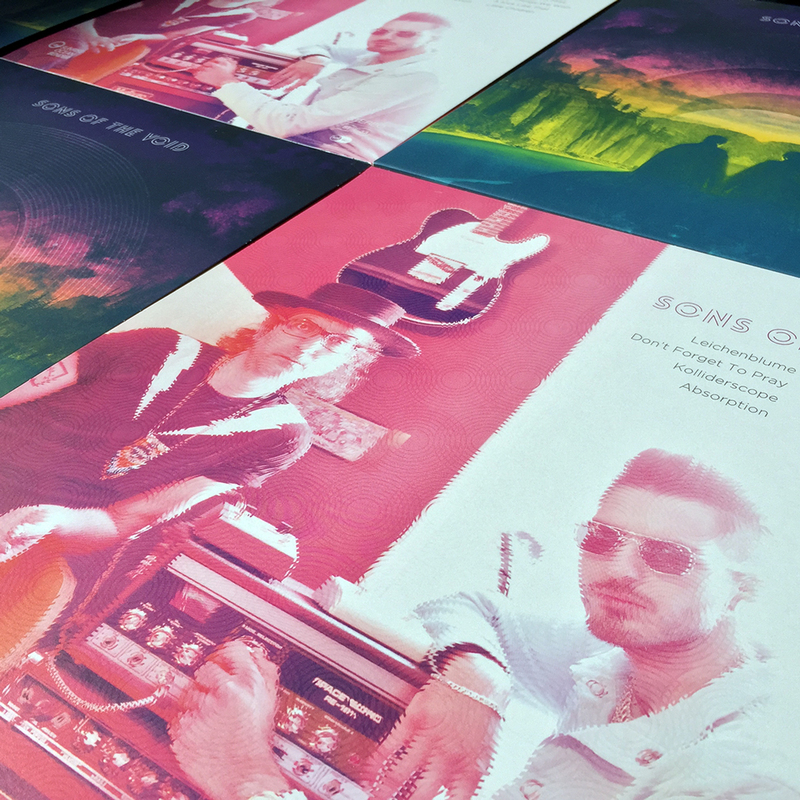 They are called Sons of the Void and they have an album of the same name due for imminent release on Sunrise Ocean Bender limited quantities of which are at present being pressed up on cyan shaded wax accompanied by eye catching inserts. Sent ahead as a herald as to what to expect, ‘absorption’ arrives lazy eyed and adrift in a seductive seasoning of hazily glazed crystalline chimes and west coast after glows that coalesce succulently traced upon mind morphing 60’s halos that shimmer and hover for the best part much like some tripping groove cooked up by the missing in action of late Sunray until just before the four-minute mark whereupon they sky rocket off to journey into the psych void.